This past Monday, April 24, three friends and I made a run at the Mississippi Big Day record of 175 species. I ain't gonna lead you on: we didn't break the record. Everything needs to go right to set a Big Day record, and not everything went right for us. Migration just sorta didn't happen, and it was windy, and well certain species just didn't cooperate. But we had a hell of a time, and saw some amazing birds, including one of only a handful of state records of Black-whiskered Vireo. Most importantly, we raised nearly $6k for the shorebird habitat conservation group a bunch of us work on, Delta Wind Birds. The team was myself, and excellent Mississippi birders Jason Hoeksema, JR Rigby, and Hal Mitchell. Here are some photos and recap. Midnight to 12:40 AM - Ross Barnett Reservoir, outside Jackson, MS.
Go time. We started out along the freshwater marsh, picking up two species we couldn't get anywhere south of these: King and Virginia Rail. We got them, and felt good heading out. I lived for a brief time in the big weird state of Mississippi. It's an incredible place, wilder and more beautiful than most people would believe. I loved birding there, spending most of my time among the overgrown catfish ponds of the northwest Delta region, but also exploring deep forests, muggy bayous, and the marshy coast. After I left, some of my friends and I started a small organization called Delta Wind Birds, which works with duck hunting outfits and catfish farmers in the Delta to manage some of their lands for migratory shorebirds. Millions of shorebirds fly up the Mississippi River each spring and fall, and because the river no longer floods like it used to, stopover habitat for these birds is rare. 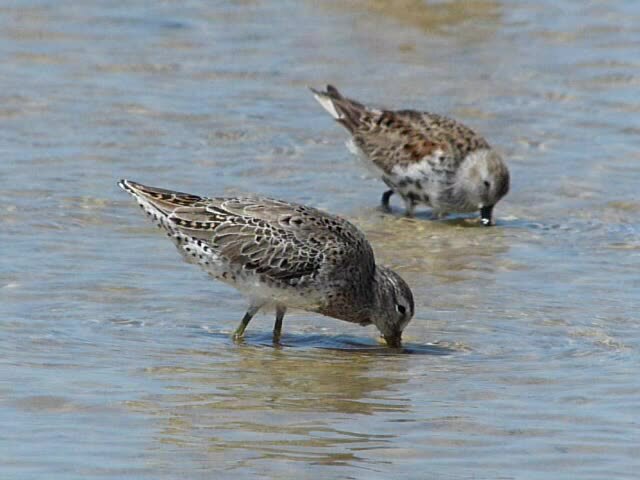 Delta Wind Birds (or DWB), helps pay farmers and duck hunters to draw down water on certain ponds to the proper depth for shorebirds, providing food and fuel to thousands of birds. DWB's annual fundraiser is a Big Day attempt, trying to break the record of 175 species set in 1989. The team just missed in 2015, hitting 170. Last year conditions didn't pan out and they ended at 167. This year, they asked me to join them. Work be damned, I'm gonna go. It looks like this Monday, April 24th with have pretty good conditions for the attempt. (NOTE: No guarantee of the day until it happens, it could be Sunday, it could be Tuesday.) I'm flying to New Orleans on Saturday and meeting the team -- Jason Hoeksema, JR Rigby, and Hal Mitchell -- in Jackson, MS. We'll scout on Sunday and then get out there at 12:01 AM on Monday morning listening for rails and looking for owls. I CANNOT WAIT, BUT I NEED YOUR HELP. This is going to be fun as heck, but we're also trying to raise money to save shorebirds. We are going to be doing our best to livestream and/or live tweet the whole day, so PLEASE follow along on my twitter (@thebirdist) and on the Delta Wind Birds Facebook page. Click on this link to MAKE A PLEDGE FOR OUR BIG DAY ATTEMPT!